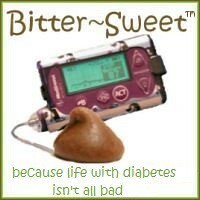 It's hard to believe that another Diabetes Blog Week has come and gone, but it’s true. I couldn’t be happier about how fantastic the week was, but I also am sad that it’s over already. This year we had 195 participants signed up, and over 750 posts added to the link lists. Those lists will remain open through to end of the month in case you’ve forgotten to add your link or if you fell behind but are still planning to post. After that, the lists will be closed to new entries but will remain on-line for future reference. As always, I couldn’t have done Diabetes Blog Week without a lot of help. A huge thank you to Mike Lawson, who once again created the fantastic DBlogWeek graphics for us to use. Thank you Kerri Sparling for chatting with me about Diabetes Blog Week and to A Sweet Life for featuring me on their Short & Sweet series. A big thanks to Scott Benner for hosting me on the Juicebox Podcast, and for sharing DBlogWeek posts from non-bloggers on his blog. 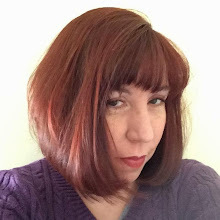 And thank you to Cherise for featuring DBlogWeek in last week’s #dsma chat. Last, but certainly not least, I owe a huge thank you to all of you! I’m so grateful to everyone who blogged, read posts, tweeted, Facebooked, left comments and lurked with us for DBlogWeek. This whole week wouldn’t be possible without all of your enthusiasm and participation. I’m more thankful than you know. And next year, if you are up for it, maybe we’ll have a go at the Seventh Annual Diabetes Blog Week. Thanks so much for doing this! Even with my own sporadic participation, I love how many great blogs I discovered! I'm sad to see it come to an end too. It was another great #DBlogWeek. Thanks for all of you do to make it happen! Karen, you deserve 1 million thanks. This was such a wonderful opportunity, although I was hoping more Type 2 Ds would participate. I actually missed Day 7 because I was already behind and was busy last Sunday. But, I want to use this chance to say to all the participating bloggers that I will keep reading everyone's entries, and to the non-bloggers to try to read everyone's posts. Loved it! A million thank yous to you and everyone who helped promote #DBlogWeek, and to everyone who participated. Another Type 2er thanking you. I thought I was only writing my blog for all the bots & spyders & trolls that live under the eBridge & other dark areas of the Internet. So, even though I did fall behind in my posts (It's not my fault! I was born over 2 weeks late! ), I still managed to churn a few out, and make some changes to my webpage, like taking away the embarrassing "Sample" listing on my "Menu". Now, in order to figure out how to write shorter posts, I'm joining On-and-on Anon, and will continue to improve my blog weekly... SUPER DUPER THANKS! Thanks Karen! Enjoyed the readings even if I wasn't a participant this year. Onward to more time next year! Thank YOU so much! It is always great to be inspired and connected!